Apple’s solar project in Sichuan, helping to power the company’s operations in China on entirely renewable energy. Apple announced on Wednesday that all 14 of its final assembly sites in China are now compliant with UL (Underwriters Laboratories) zero waste standards. “It means that all the manufacturing waste from the 14 facilities is either reused, recycled, or composted,” said Lisa Jackson, vice president of environment, policy and social initiatives at Apple. The tech giant now has a total of 18 final assembly plants in the world. The zero waste program began in January 2015 and has helped divert more than 140,000 metric tons of waste from landfill to more environmentally sound procedures, Jackson said. The UL standards, set by a well-known US safety consulting and certification company, are widely adopted in safety-related testing and validation around the world. One of Apple’s top suppliers, Foxconn saw its two sites, one in Shenzhen, southern China’s Guangdong Province, and the other in Taiyuan, northern China’s Shanxi Province, become the first to get the zero waste validation, earlier this year. “If you visit our final assembly plants, you will see a lot of materials stacked up to be shipped back to the vendors so that they can be reused,” Jackson said. According to Jackson, packaging that goes back to vendors undergoes a cleaning process to get refreshed and is then inspected to make sure it is still good enough to be used again. In recent years, Apple has made clear efforts to improve the environmental impact of its supply chain, which is responsible for 77 percent of its total carbon footprint. Apple is also looking at its energy usage, and on Wednesday the company announced a commitment from its major supplier Lens Technology to run its Apple operations entirely on renewable energy by 2018. Lens, a company based in central China’s Hunan Province, produces cover glass, home buttons and cameras for Apple, and consumes about 500 million kilowatt hours per year, according to Lens CEO Zhou Qunfei. To fulfill the commitment, Lens will continue to build solar panels and purchase wind power from local companies, Zhou said. 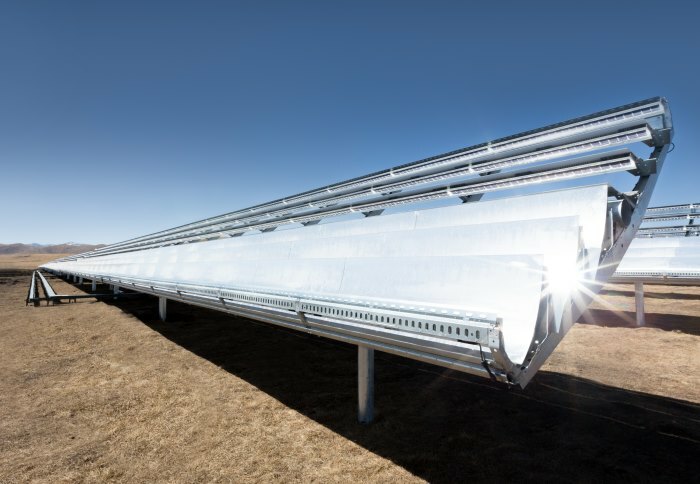 Lens is the first supplier to make a clean energy commitment for all of its Apple production, which will reduce carbon dioxide emissions by nearly 450,000 metric tons per year, equivalent to the energy use of 380,000 Chinese homes, Jackson said. Apple, which has 346 suppliers in China, has committed to partnering with Chinese suppliers to build more than two gigawatts of solar power projects by 2020, which will help cut 20 million metric tons of greenhouse gas pollution. “We are already sponsoring the development of 200 megawatts of solar power projects in China, with 170 megawatts in Inner Mongolia,” Jackson said. Foxconn will finish building 400 megawatts of solar power projects, starting in Henan Province, by 2018. It is currently on its way to constructing the first 80 megawatts.